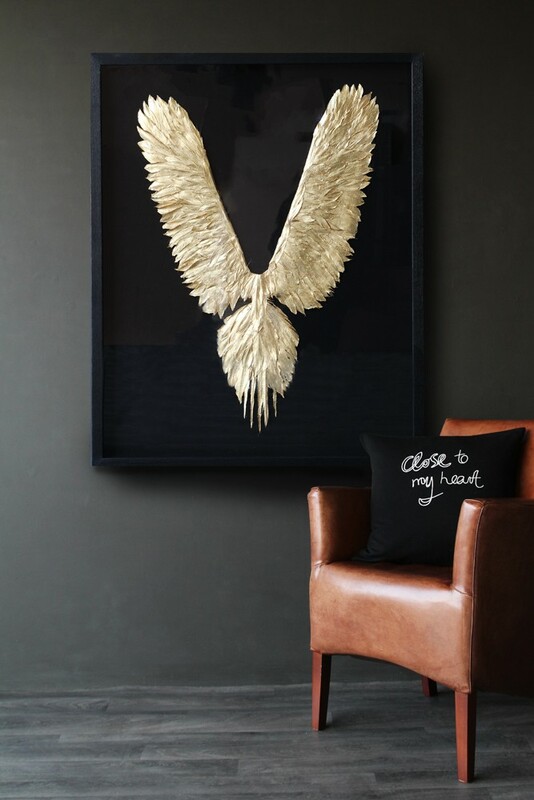 Gold Feather Wings In Frame are a style statement that we're totally on board with! 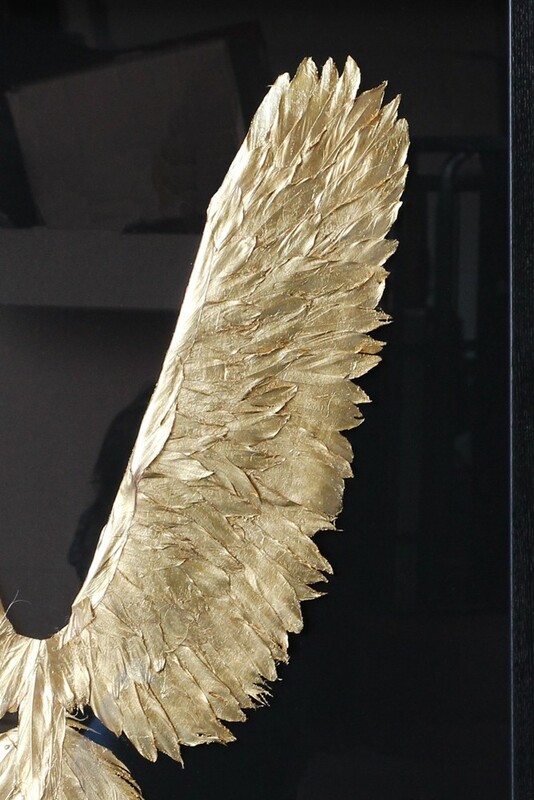 Big, bold and gold..our favourite! 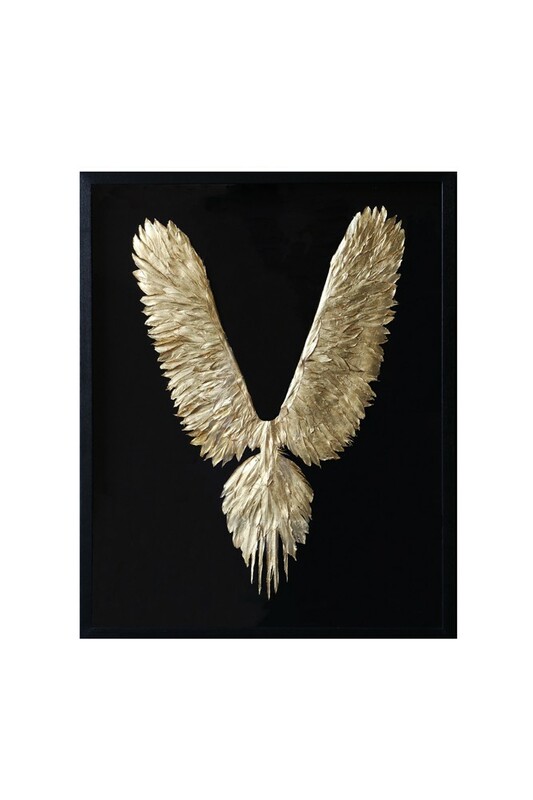 Statement artwork at it's best, this winged artwork is made from real feathers and mounted on a pine background. 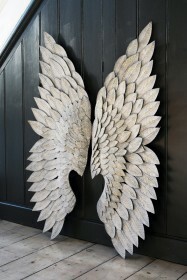 Gracefully soaring, we think these wings are a great over the bed piece, or perhaps beside your favourite chair. This item requires specialist courier delivery, & has a delivery lead time of 2-3 weeks.